This is one of my favourite cookbooks, of all the ones I own. I think I was first drawn in by the most breathtaking photo of a cheesecake I’d ever seen. It looked moist and soft and creamy and luscious and sinful. It was an Oreo cheesecake, but the author, Marcy Goldman explained that it was renamed because the company mailed her, asking her to stop using the name because of copyright issues. She did, and pointed out that it was out there in print from countless sources in countless recipes. She had a point. The book includes many little stories like that, related to the recipes. She also offers tidbits of advice and suggestions throughout the book. It’s just so useful. I’d always been drawn in by her recipe of a pastry called kouign aman, it’s also on my wish list of things to make. She describes that she found it in a little pastry shop in Montreal. This didn’t strike me as anything special until earlier this year when I realized, after sxploring the bakeries in Montreal, where I’d moved to for school, that the bakery that I have come to love was the exact same bakery described in her book! What a wonderful coincidence. Kouign aman is my vice, well, one of them anyways. I encourage you to find some, if you could. After the first taste, there is no turning back. I understand there is a new edition now with a few new recipes. I would be interested in seeking what new yummy things she has added. Who knows? Since Ms. Goldman is based in Montreal, she might mention another bakery that I frequent. I encourage you to check out her website also. Here’s a cookbook that I’ve had for a while now. 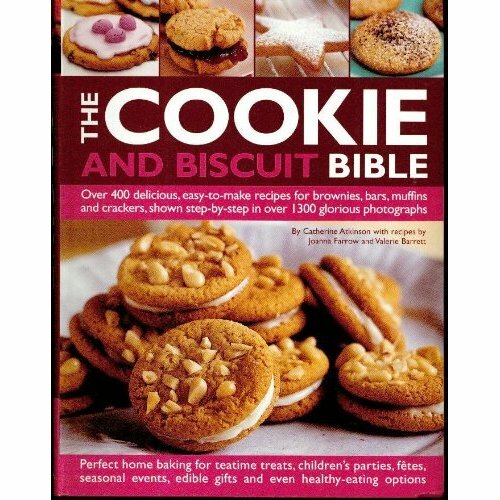 The Cookie and Biscuit Bible by Catherine Atkinson. At a glance, this book has gorgeous pictures of every recipe that is in it. It’s great to be able to see the final result. Plus, the pictures are just down right yummy. 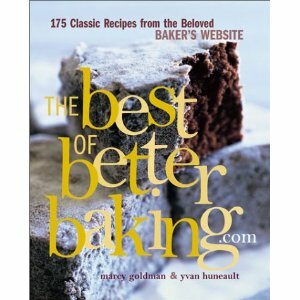 The book also offers the standard descriptions of essential ingredients as well as equipment often used in baking. Then it goes into some details describing the different kinds of cookies, such as rolled, dropped, etc. Useful if you want some background information on the subject at hand. Then it offers advice on baking, decorating, storing, and packaging the goods for gifts. Again, useful. The recipes themselves have the ingredients by weight (both metric and imperial) as well as by cups/teaspoons/tablespoons, otherwise known as the American measures. This is designed to be useful, I’m sure, but sometimes is just plain confusing and annoying to look at. Oh also, by “cookie and biscuit”, they also meant bar cookies, muffins, crackers, and some ethnic desserts. This is also a plus. I haven’t tried too many recipes (here it’s mainly used as an aphrodisiac, er, to stimulate appetite, that is), although some recipes need tweaking, others are fine. Besides, have I said that the pictures are yummy? 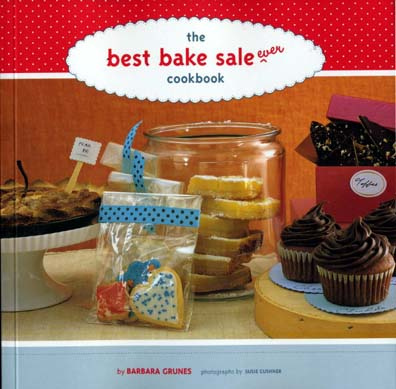 Here’s a very cute cookbook on hosting bake sales. Bake sales have got to be one of my favorite ways to raise money. There’s something very heartwarming about making goodies and seeing others eating your goodies, all for a good cause. It makes the goodies taste that much better and that much more fun to make. This book gives pointers on decorating your tables as well as tips on transporting your goodies. It contains all the familiar childhood goodies such as brownies, chocolate cake, oatmeal cookies, banana bread, and more. One thing I found odd was that there is no recipe for chocolate chip cookies. 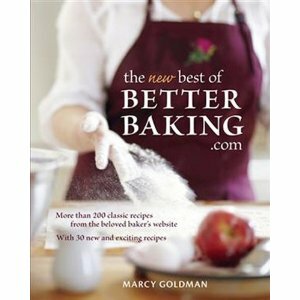 This best loved cookie shows up in virtually all bake sales, so why is it not in this book. 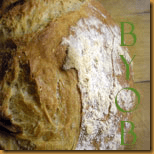 I’ll try a few recipes from here, hopefully soon because we are trying to raise some money for the church youth group. So maybe I’ll be arranging my very own bake sale soon!